[268 Pages Report] Amino resins are thermosetting resins formed by copolymerization of amino compounds with an aldehyde. Amino resins are used in wood panels, coatings, laminates, molding compounds, adhesives, and other industry.Amino resins are majorly used as adhesives in wood panels such as particleboards, MDF, plywood, etc. The high performance of amino resin in terms of strength and resistance they provide to wood panels are major driver of amino resin market. The report covers three major commercially used amino resins; urea formaldehyde resin (UF),melamine formaldehyde resin (MF), and melamine urea formaldehyde resin (MUF). Asia-Pacific leads in consumption of UF & MF resins followed by Europe and North America. China is the biggest consumer in the global UF and MF market. The market demand of amino resin in wood products has increased at a higher CAGR since 2011 after economic downturn of 2008 and is expected to remain at moderate CAGR till 2018. The coatings industry is expected to elevate the amino resin demand with increase in automotive and paint industry in near future. The report estimates the global market of UF resin, MF resin, and MUF resin till 2018. Themarket research study provides detailed qualitative and quantitative analysis of the global amino resinsmarket. The report provides a comprehensive review of major market drivers, restraints, opportunities, winning imperatives, challenges, and key issues in the market. The market is further segmented and forecasted for major regions such asNorth America, Europe, Asia–Pacific, and Rest of the World. The top players of the industry are profiled in detail with their recent developments and other strategic industry activities.Market has also been segmented on the basis of applications. The major applications for amino resins such as particle board, MDF, plywood, laminates, molding compound, coatings, etc. have been discussed in detail in the report. We have used various secondary sources such as encyclopedia, directories, and databases to identify and collect information useful for this extensive commercial study of amino resin. The primary sources—selected experts from related industries and selected suppliers—have been interviewed to obtain and verify critical information as well as to assess the future prospects of amino resin market. Scope of the report: This research report categorizes the global amino resin market on the basis of applications and geography; forecasting volume and revenue and analyzing trends in each of the submarkets. On the basis of applications:The amino resin market is segmented on the basis of industry application as adhesives inwood panels,coatings, laminates, molding compounds,and other. Each application is further described in detail in the report with volumes and revenues forecasted for each application. On the basis of geography:North America, Europe, Asia-Pacific, and ROW and key countries in every region. Amino resin is a product of copolymerization of an aldehyde with amino compounds (-NH2). The most commonly used industrial amino resins are Urea Formaldehyde Resin (UF), Melamine formaldehyde Resin (MF), and Melamine Urea Formaldehyde Resin (MUF). The major application of amino resin is as wood adhesive in manufacture of particle board, MDF, and plywood. The other applications are in laminates, coatings, molding compound, and others (paper, textiles, etc). Rapid growth for amino resin market is driven by growth in end-user industries. Global wood panel market development is one of the major market drivers for amino resins. The building and construction industry is expected to gain momentum by end of 2013 following the financial crisis of 2011 in U.S., and Western Europe; thus enhancing the demand of wood panels. Asia-Pacific leads in consumption of UF & MF resins followed by Europe and North America. China is the biggest consumer in the global UF and MF market satisfying the domestic demand and carries out large scale export of finished wood products to neighboring countries and Europe. MUF resin market is expected to develop with a high CAGR due to its moderate cost and high performance. Germany is the biggest consumer of MUF resin followed by Japan. The global market for amino resin in terms of revenue was estimated to be worth around $8.9 billion in 2012 and is expected to reach $15.1 billion by 2018, growing at a CAGR of 8.8% from 2013 to 2018. UF resin occupy the largest share in Amino resins revenue followed by MF resin and MUF resin respectively. MF resin is the costliest amino resin while UF resin is the most economical. Amino resin manufacturers are improving their geographic reach through production capacity expansion in key consuming regions and increasing price competency to sustain their market position in the global market. Another major strategies adopted by manufacturers are introduction of new products and distribution agreements to widen their existing end-user industry base. 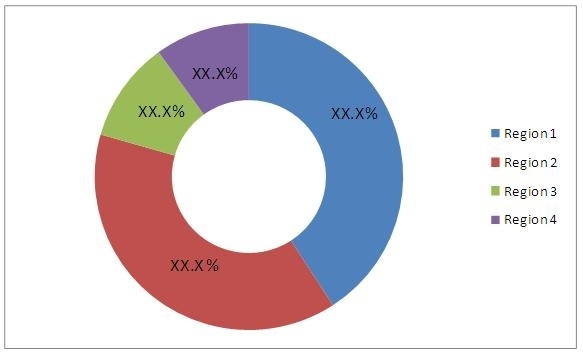 Key participants in the global amino resin market are Arclin Inc. (U.S.), BASF SE (Germany), Chemique Adhesives & Sealants Ltd (U.K.), Cytec Industries Inc. (U.S.), Dynea Oy (Finland), Ercros S.A. (Spain), Foresa Industrias Quimicas Del Noroeste SA (Spain), Georgia Pacific Llc (U.S.), Kronospan Ltd (U.K.), Momentive Specialty Chemicals Inc. (U.S.), Qingdao Winlong Chemical Industrial Co. Ltd (China), Tembec Inc. (Canada), and also other market participants. 8.11 Foresa Industrias Quimicas Del Noroeste, S.A.
8.17 Momentive Specialty Chemicals Inc.